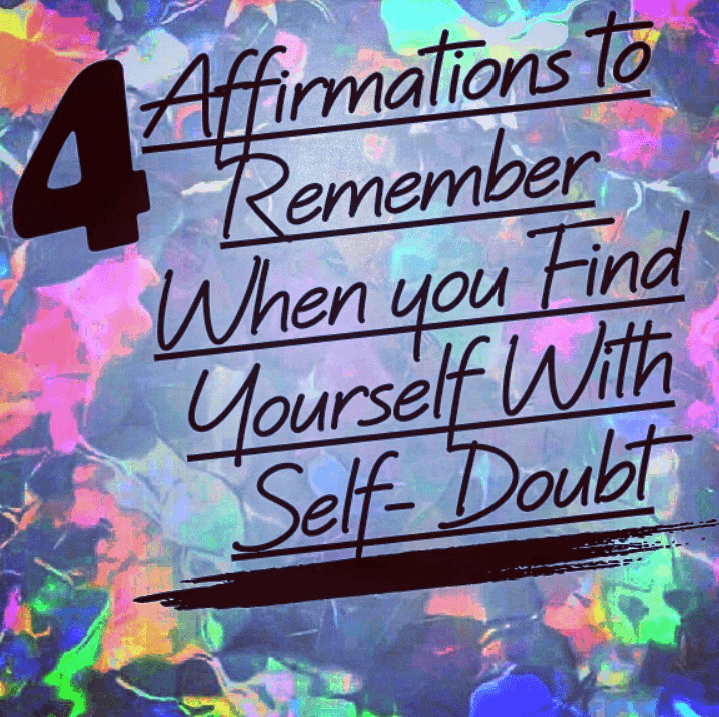 These are four affirmations to remember if you find yourself in self-doubt. 1. I am good enough for who I want to become. As we grapple and struggle through our insecurities, we must realize our own power in the decisions we make. The more we try, the more we are able to see our potential, therefore visualizing ourselves in new places. We possess unimaginable worth and are able to navigate that worth by first knowing we are good enough first. 2. I accept that at times I will not achieve the results I desire. Temporary setbacks, however, do not make me any less capable of progress. While we maneuver and dedicate our time to opportunities that fit our aspirations, sometimes we will receive rejections. Rejection is extremely difficult to deal with and can dampen self-esteem, but it does not have to define how we see ourselves or our worth. Rejection is a part of life’s process. The opportunities that are made for us will accept us and our talents. 3. I possess the qualities, traits, and abilities needed for success and happiness. When we see ourselves, in order to be successful, we must first see all the characteristics that will ensure success. We must realize that we are deserving of the happiness and stability we strive for. Seeing in ourselves the success, and overriding the self-doubt is pivotal to being successful. We must build confidence, certainty, and courage in our own abilities to be successful. 4. I will conquer every challenge presented to me. Challenges are inevitable as we find ourselves in spaces that are new. Challenges allow us to grow into better versions of ourselves. The more we conquer new challenges, the more equipt we will become in our skills. There is always room to better ourselves, so as we are presented with challenges, we will be patient, calm, and receptive in order to grow and become better. So, therefore, when our self-doubt tries to paralyze our progress we will affirm that we are good enough, accept possible rejection, build confidence in our qualities, traits, and abilities, and believe in our capabilities during challenges. We will be presented with different obstacles in our journey to success, but one obstacle we will overcome each time is our insecurities and doubts when in tight and difficult situations.